Here is how to get the official 9mobile Customer Care representatives. Including their service Phone Number Line, Email Address, Social Accounts (Facebook & Twitter), Website & Live Chat. Want to contact 9Mobile customer care? Here are the 4 Best ways you can quickly get customer support from 9Mobile. 9Mobile, which was previously known as Etisalat, has millions of active subscribers in Nigeria. Millions of 9Mobile NG faithful customers have argued that this company offers the best data services, when compared to other network providers in Nigeria. The 9Mobile customer care line is readily available 24 hour/7days a week all round, and through this channel, they provide customers with a swift response to queries on any matter on services provided by the network. The 9mobile customer care offers one of the most durable customer services in Nigeria. If you want the easiet way to contact 9mobile customer service, here’s it. I have discovered that so many persons prefer getting help directly from their live customer support. The 9Mobile customer care line is one of the best ways of resolving any issue you’re having quickly and swiftly. With their official line, you get to speak directly with a customer care representative within a short period of time. But you should take note that there are other customers speaking with the representative, which means that you have to exercise some patience before you will be able to speak to a customer care agent. Dial 200 if you are calling directly from a 9mobile number. If you are calling from another network provider in Nigeria, dial 08090000200. Dial +2348090000200, if you are calling from outside the shores of Nigeria. If you’re calling a Nigerian number, but you’re not in Nigeria, you must add +234 (Nigeria’s dialling code) before the number. 9Mobile have active workers on Facebook, who are always ready to actively reply your messages. If you have any issues with your 9Mobile simcard, you can also reach them through their official Facebook Page.Facebook is undoubtedly the largest social media platform in the world, with close to a billion users globally. CLICK HERE to contact 9mobile Nigeria on their Facebook page. If you’re active on Twitter, you can reach them via their verified Twitter handle, simply send them a tweet and they will reply you within a short period of time. To solve some critical issues, you might require the physical presence of a Customer service agent. 9mobile has erected Experience Centres in virtually all the major cities, across the country. Please take note that the 9mobile Experience centres is accessible to customers only on working days (8 am to 5 pm daily) (Monday-Friday). Once you send a message to this email address, a customer service agent will reply to you in no time. Are you interested in chatting with a Live support? This feature is supported by the network. You can browse through their website for more information about their products and services. You can start chatting with a agent live via their website. When you visit the website, simply click on the live chat icon at the bottom right corner of any page on their website. Finally, I hope you have the issue resolved. 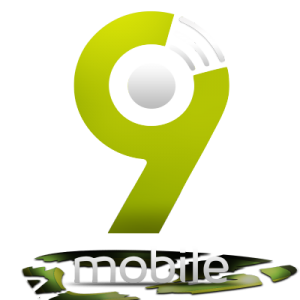 This is the best ways on how to reach a 9Mobile customer care representatives.